SKA Global Headquarters – A consortium of French research institutes and industry has become the 12th member of the SKA Organisation following approval of its accession by the SKA Board of Directors. 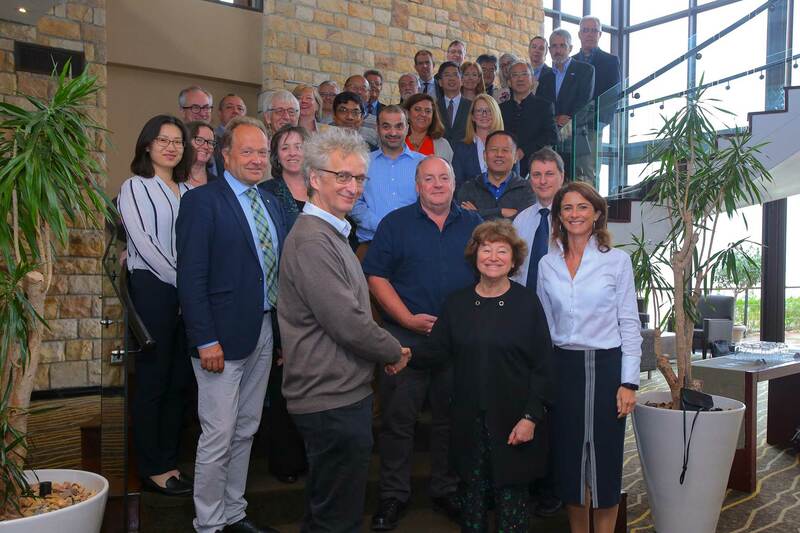 The decision to accept the request of CNRS, Europe’s largest research organisation, for membership was taken at the 27th meeting of the SKA Board of Directors in Cape Town, South Africa. CNRS is the leading organisation for the participation of French institutes in the SKA through the Maison SKA-France consortium, a national coordination that presently includes five research organisations (CNRS, Paris Observatory, Côte d’Azur Observatory, Orléans University and Bordeaux University) as well as seven private companies (Air Liquide, ATOS-Bull, Callisto, CNIM, FEDD, Kalray, TAS). France has a 70-year history of radio astronomy, and its Nançay Radio-astronomy Station is home to antennas of an International LOFAR station and of the New Extension in Nançay Upgrading LOFAR (NenuFAR), both SKA pathfinder facilities. Another SKA pathfinder, the Electronic MultiBeam Radio Astronomy ConcEpt (EMBRACE), which demonstrates the design readiness of phased array technology for the SKA, has a station at Nançay. It is also the site of the famous Nançay Radio Telescope (NRT), inaugurated in 1965 by President Charles De Gaulle, which remains a first-class facility and is today engaged in observations of galaxies, comets and pulsars. France has also been instrumental in the development of millimetre radio-astronomy with the construction and operations of IRAM observatory with its partners and its later participation to ALMA through ESO. Chair of the SKA Board of Directors Dr Catherine Cesarsky shakes hands with French representative Michel Pérault, marking the occasion with members of the Board and observers.